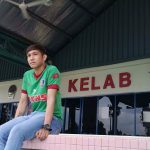 Cambodia star Chan Vathanaka, who recently moved to PKNS FC in Malaysia, has opened up on his previous stint in the Malaysia Super League with Pahang FA and how he has grown as a player since. The 2019 Malaysian Super League season is fast approaching, with the teams currently committed to bolstering their squads. 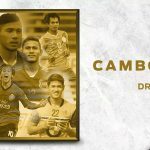 Cambodia attacker Chan Vathanaka has sparked transfer rumours after suggesting in Facebook post that he is leaving his current club Boeung Ket FC. 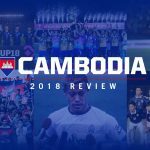 In 2018, the Cambodian football seemed to be no different from previous years! One of the most successful sides in Polish history, Wisla Krakow are set to be bought by Cambodian business tycoon Ly Vanna. 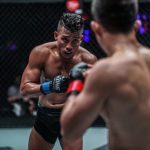 As we continue to run through our series of top five stars from countries throughout Southeast Asia, it’s important to keep things in perspective. 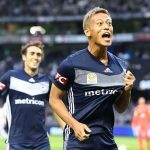 Cambodian midfield Chreng Polroth’s Buriram United adventure has been halted by a knee injury that will see him out of action for three months. Keisuke Honda’s appointment gave Cambodia a clear identity and playing style in the 2018 AFF Suzuki Cup. 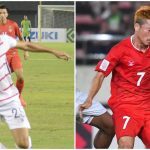 AFF Suzuki Cup 2018: Star coach, exciting players. 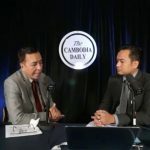 But what’s bogging down Cambodia? 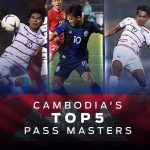 Much was expected of Cambodia at this edition of the AFF Suzuki Cup, but how they fared in the biennial event left a bitter taste in the mouths of the supporters of the Angkor Warriors. 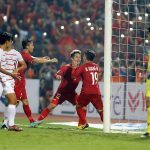 With their AFF Suzuki Cup lives on the line, Vietnam may have presented their best performance for last as they secured a spot in the knockout stages with a dominating 3-0 win over Cambodia. Vietnam produced an almost perfect game against Cambodia as they step out of Group A and into the AFF Suzuki Cup 2018 semifinals stage. Cambodia have been eliminated from AFF Suzuki Cup 2018 with a game to spare despite recording a 3-1 win over Laos at the Olympic Stadium in Phnom Penh. 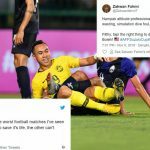 Japan legend Keisuke Honda has not had a great start to his coaching career after seeing his Cambodia side lose their first two matches to Malaysia and Myanmar in the ongoing AFF Suzuki Cup 2018. Two teams still without points in the AFF Suzuki Cup clash as Cambodia host Laos at the National Olympic Stadium in Phnom Penh. 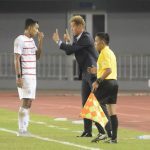 Days after their star forward Chan Vathanaka noted down on social media that he wasn’t good enough to play for the national team, another Cambodia star has dropped yet another bombshell when he revealed that he had though of quitting the Angkor Warriors team due to abuse from own fans! 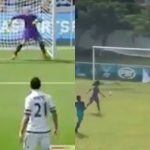 We all love a funny own goal or a hilarious mistake leading to an opposition player scoring, so when a stunning incident came to the forefront from a Cambodian youth league match, it certainly caught our attention. Much has been said about Cambodia’s new high-profile managerial signing.